Requires companies developing molecularly targeted cancer drugs to undertake pediatric studies. Has created over $1 billion of voucher incentives for rare pediatric drug development. We support physicians’ efforts to save children by helping to obtain investigational drugs. We help families of children with terminal brain cancer donate their child’s post mortem tumor tissue to research. We applaud the FDA’s new guidance urging companies to include teens on adult cancer trials when appropriate. Leave your parents and teachers behind. 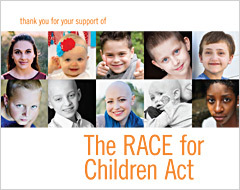 A day on Capitol Hill for kids to be the voice of children with cancer. Next up: 4/16, 6/27, 9/20, 9/23. Watch our young advocates and cancer survivors make a difference at our Youth Advocacy Day on Capitol Hill. Join us for Climb the Hill Advocacy Days on Capitol Hill. Sign-up here! See photos and watch the video of our young advocates. Please donate online. 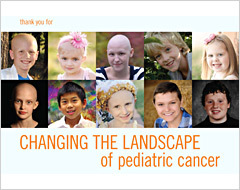 Checks can be sent to: Kids v Cancer, 3500 Macomb St. NW, Washington D.C. 20016. Spread the word to help families seek compassionate use drugs or donate autopsy tissue for research. These are stories of love and strength, of loss and despair, of hope, of kids who fight with us and who we fight for. Have you, or your sibling, or your child had cancer? We’d love to include your story in a book for Congress.